nspired by Canada's tennis sensation Milos Raonic. 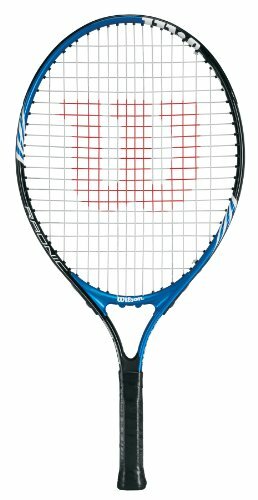 Wilson's Raonic 23 inch junior racquet uses C-Beam construction for stability and power. Airlite Alloy is employed for lightweight strength. Comes strung from Wilson with a quality 15L Nylon. Suitable for juniors aged 7 or 8.